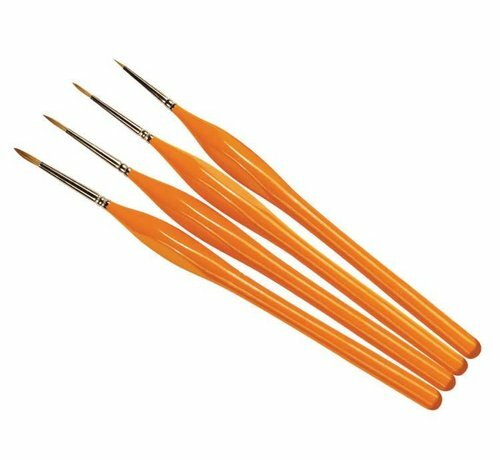 This four pack contains four different brushes: sizes 00, 0, 1 and 2. 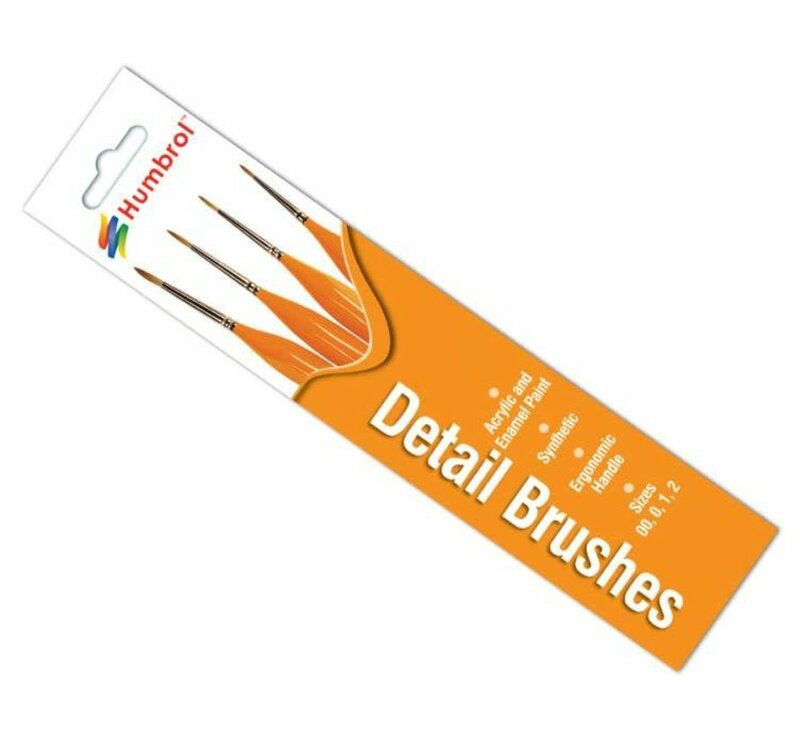 The Detail Brushes are made from ultra fine sable hair and are ideal for painting small detailed areas on your models or figures. 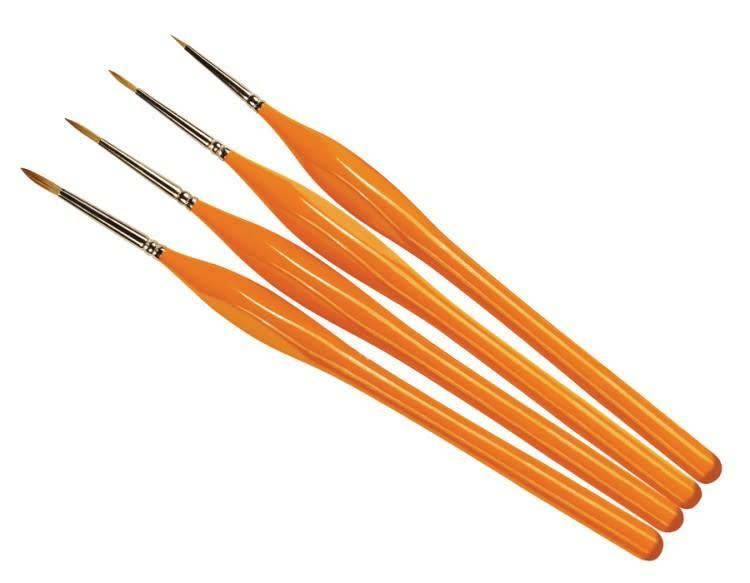 The easy grip ergonomic handles make them a pleasure to use for short or long periods of time. 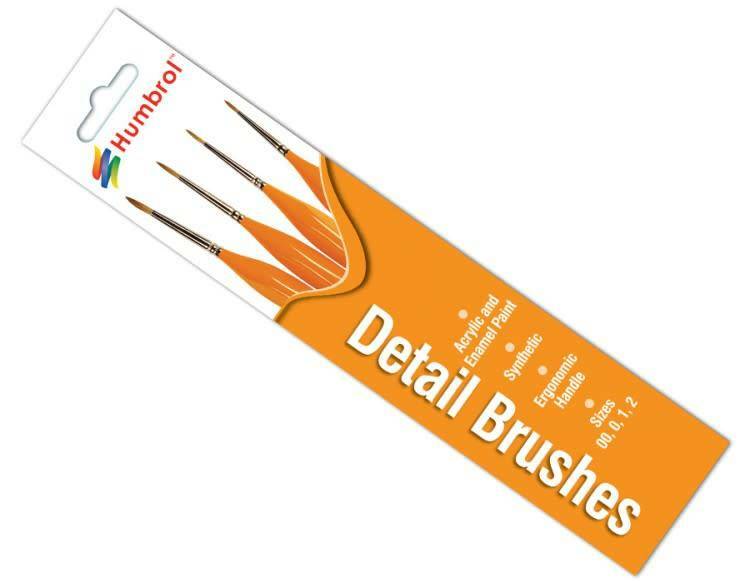 This pack contains four different brushes, sizes 00, 0, 1 and 2. 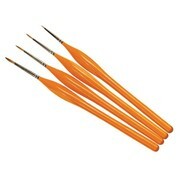 Suitable for Enamel and Acrylic paints.